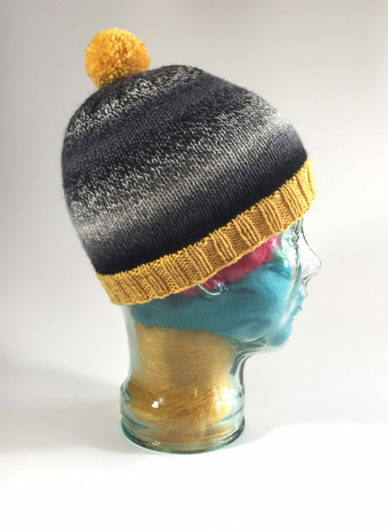 My 2019 resolution was to try hard to knit all usable quantities of a colorway before I proceed to a new yarn for a new project. Kind of “finish your peas before you eat dessert” thing. Well, except that Schoppel-Woole Zauberball and Cascade Yarns Superwash Sport are hardly the peas of the yarn world. Apologies, to you pea lovers, but peas taste terrible and I bet somewhere deep down you know that too. 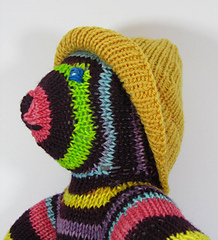 So, first I used a smidge of the Daffodil colorway to knit my Annita Wilschut Vera bear a rain hat. Perfect. That was in the summer of 2014. My Daffodil languished. 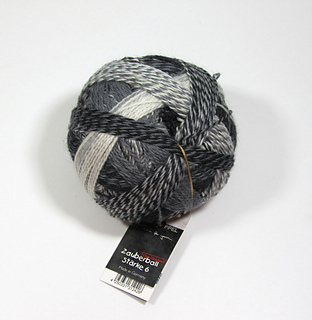 Next, in the fall of 2018 I knit Wolkig in my black/gray/white Zauberball. I broke into the Daffodil for the cuffs of my adult moc-o-socs. 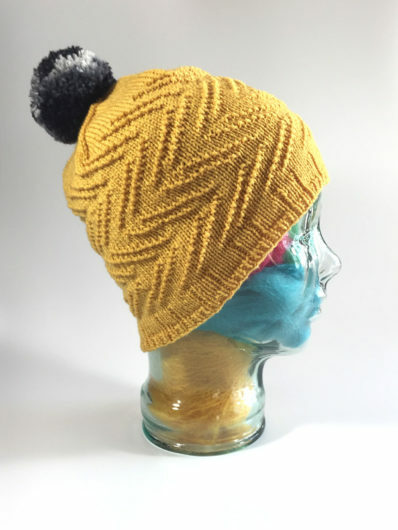 Such a great pattern by Rebekah Berkompas. 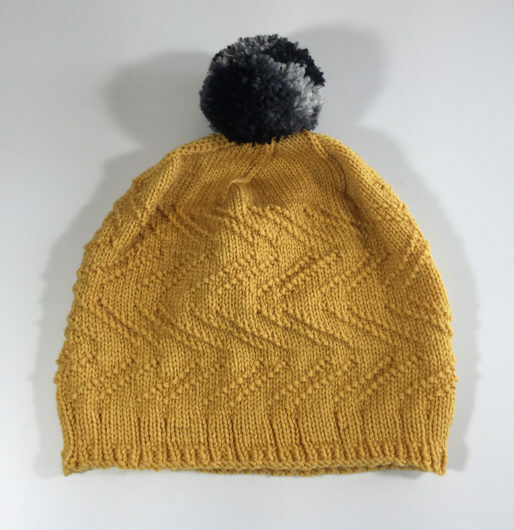 Then, with most of the leftover Zauberball and a dainty amount of the Cascade 220 sport Daffodil, I knit Justyna Losorska’s freebie beanie, Fasolka. I followed her instructions exactly, except that I went my own way on the color combination. I see this sportweight hat as a great success. It even has an excellent crown, with no hint of the dreaded pointy beanie syndrome. 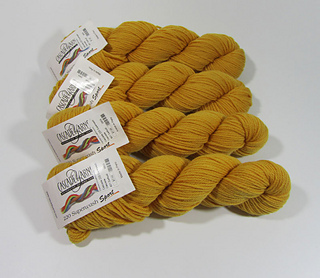 The Zauberball colorway worked out so excellently, I will be indulgent and give you another view. What next to knit. 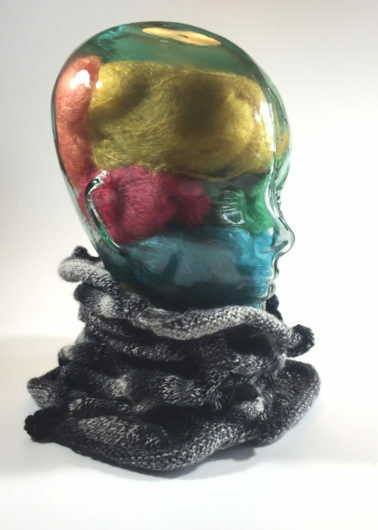 I’d been eager to give Cecelia Compochiaro’s “sequence” knitting a try. 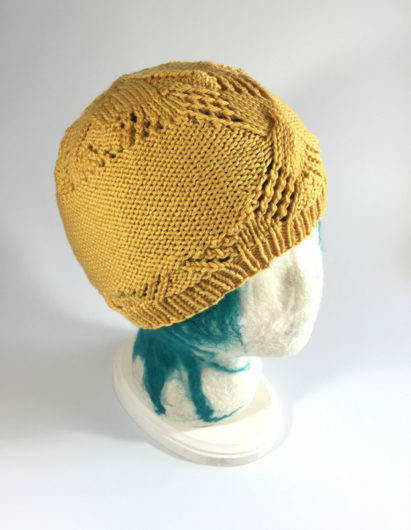 My first attempt was her Swirl Hat, using her spiral sequence method. 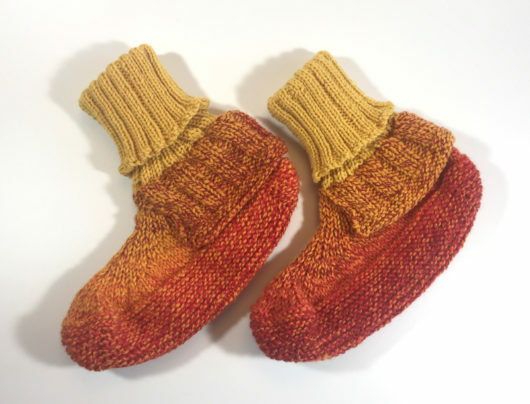 If case you haven’t heard about or tried sequence knitting yet, let me intrigue you. 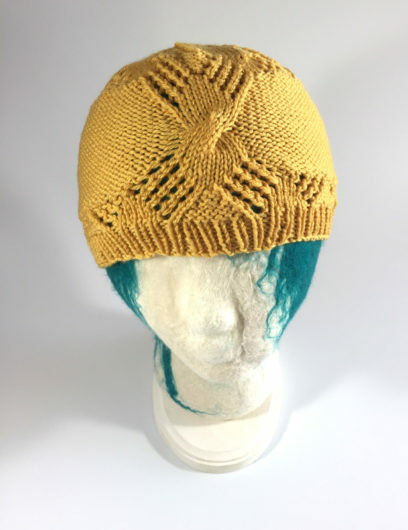 All the patterning on this hat repeats the same 10-stitch sequence. Yep, the diagonal slices, separated by a few rows of stockinette, are several rounds of the same sequence worked over and over again, ignoring the end-of-round marker. 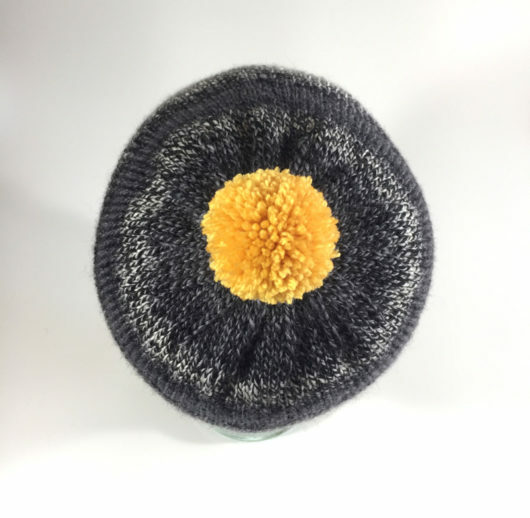 The shift in the direction of the slice happens magically (or so it seems to me) by a minor adjustment to the number of stitches in the round that happens in the stockinette section. There was even enough Zauberball left for a right-sized pompom. My Cascade 220 superwash sport hadn’t run out yet, so I couldn’t quit on it. 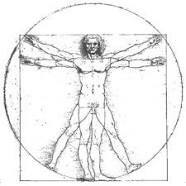 This next hat is Susan Villas Lewis’s Vitruvian Man. 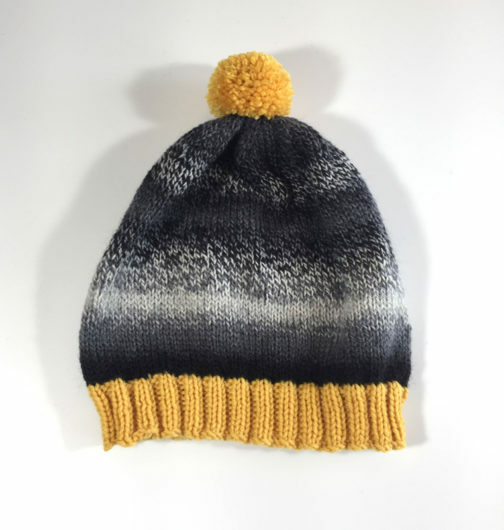 It’s a fun motif to knit. The entire hat is very cleverly designed. Check out the great crown. I have a big gumball sized ball of Zauberball left. And what’s left of my Cascade 220 sport isn’t quite a golf-ball sized ball. Every useful bit is used up. 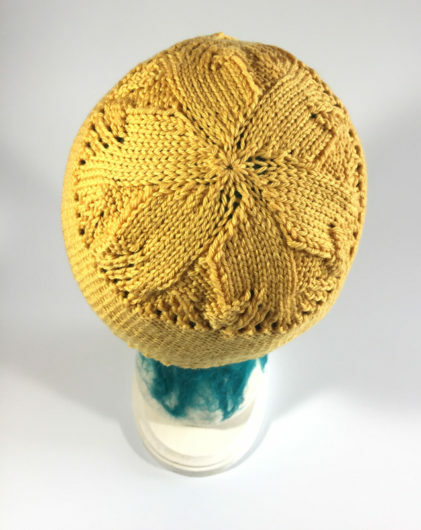 This entry was posted in Knitting and tagged Adult Moc-a-soc, Annita Wilschut, Cascade 200 Superwash Sport, Cecelia Compochiaro, Fasolka, Justyna Lorkowska, Martina Behm, Rebekah Berkompas, Sequence knitting, Susan Villas Lewis, Swirl Hat, Vera, Vitruvian Man, Wolkig, Zauberball by Noreen. Bookmark the permalink. As always, you continue to entertain ?